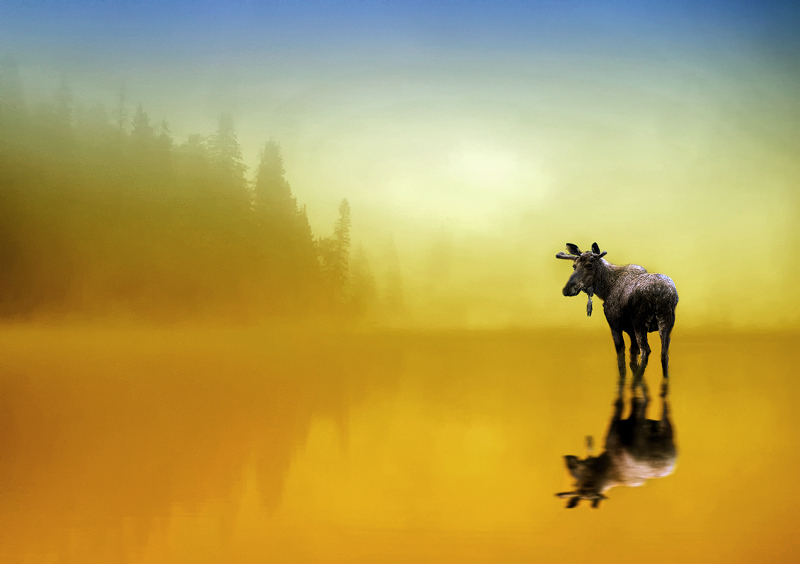 I made two photoós on diferent trips to Canada and made one of both by cutting out the moose and putting it in a foggy landshape. I do like what you've done here. If anything, I would soften the moose up just a bit to give the impression he's in the fog.